Migrants feared drowned off Djibouti. More than 130 African migrants were missing off Djibouti after two overloaded boats capsized in rough seas, the United Nations migration agency said. The vessels were heading to Yemen, a gateway to Gulf countries where migrants hope to find jobs and better lives, said Joel Millman, spokesman for the International Organisation for Migration (IOM). Alerted by local residents, a team of gendarmes found two survivors and the five bodies. 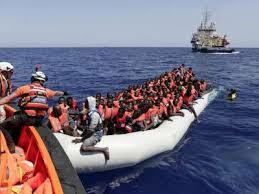 The boats were believed to have capsized off Godoria, in Djibouti’s Obock region. IOM staff identified an 18-year-old male survivor believed to be among 130 passengers on the first boat, but he had no information on the second boat, the IOM said.